When it comes to cars, the number one best value for the money just happens to be a truck, according to Kelley Blue Book. The auto experts weighed the attributes of over 300 new-car models narrowing them down to 49 finalists before picking one vehicle in each of 12 categories. The F-150, which won in the truck category, was also the "Overall Best Buy." The 2015 F-150 has a lightweight all-aluminum body and is available with fuel-efficient turbocharged engines. 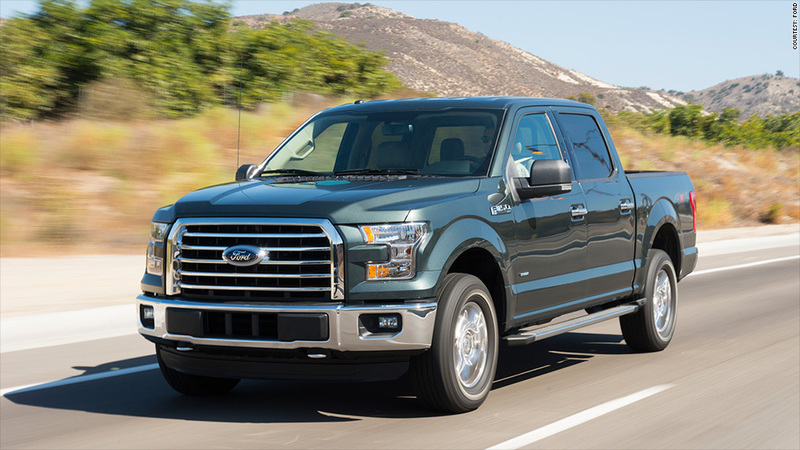 "Offered in a wide variety of body styles and with a wide variety of engines, it is a suitable vehicle for a broad cross-section of the public," KBB editorial director Jack Nerad said in a statement, "and the final piece is the F-150 is available for about the same price as the previous generation truck, which was a bestseller." The factors considered were price, overall cost to own, including insurance, fuel and depreciation, and reviews from both consumers and the KBB staff itself.